We have developed one hyperlink report in BIRT 2.3.2. Working fine in BIRT. But if i deploy the same in Maximo(Maximo version 7.1.1.7). The main report fetches desired result. But when i click on hyperlink it throws me an error "Unauthorised to run report" with White background. I have checked security groups attached to both Main and hyperlink reports. Both looks fine. I am not getting why this error is coming...?? By the way, we have clustered environment set up configured for the reports only. Can you run the report you are linking to on its own? Are the reports in the same folder? Yes , i have ran the linked report separately. And its working fine. both are in same folder. No, issue in that. Sorry, I have no idea then. Maybe ask IBM support? This is an IBM error message not BIRT. Not too sure if you've found a solution to this issue cos I faced the same issue. 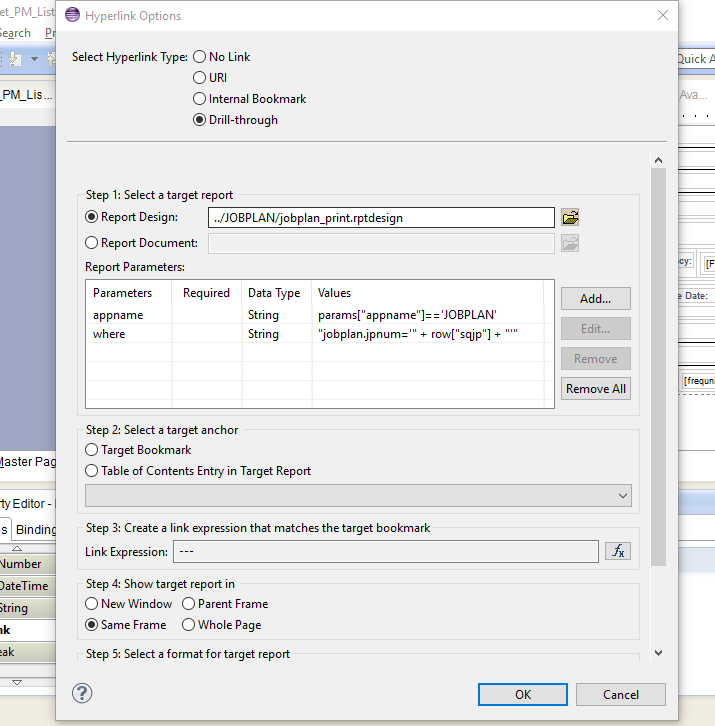 Then I added in the parameter "appname" in the linked report and pass in the folder name where the report is saved in. And I no longer see the error anymore. Hope this helps. Also in Maximo 7.1 security is handled separately. Does the user have access to the report? Are you passing the where parameter? If I recall I have had the same issue when I didn't use the where. So I added it as just a hyperlink parameter. In other words, you need to make sure you are passing all the required parameters. Yes required by Maximo or so it appears, but not required by the hyperlink report itself. Yes appname is also required.